You can print these place cards on colored paper or print on white paper and let your kids color them in. 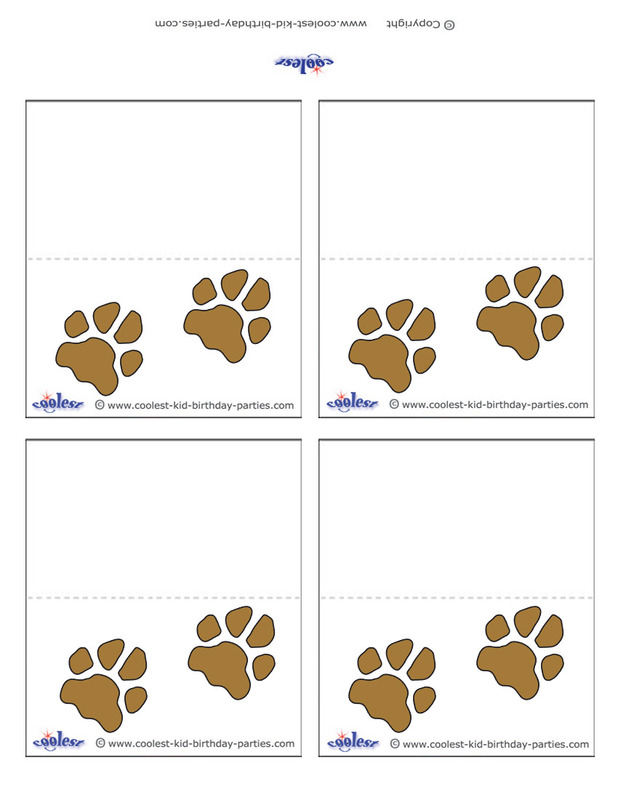 Print and cut each out, then fold each in half, write the guest’s name and put on your party tables. If you want the place cards to be more sturdy, just print on heavy Bristol paper or glue onto cardboard.